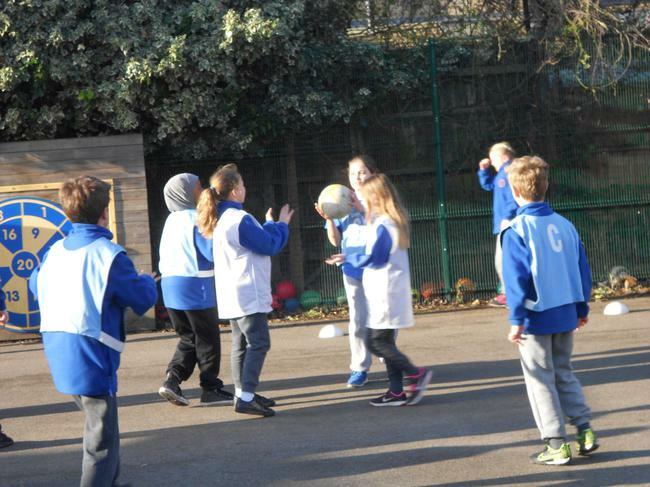 Today saw the end of a great week of Netball in KS2 and competitive throw and catch games in KS1 for this half terms Constellation Tournament. It was looking like it was going to be a close finish for the win but in the end 1 Constellation pulled away to be declared clear winners. Congratulations to Pegasus!! Well done to everyone this week for representing your Constellations so well. Next up...Hockey. Constellation Netball tournaments are back next week. As always, parents are invited to come and support so if your child is in KS2 and you want to come along and cheer them on as they aim to score points for their Constellation have a look at the schedule below. Congratulations to Orion for being crowned this years Constellation Netball Champions! So, with just Year 3 left to play their part in the competition it is neck and neck at the top of the table. 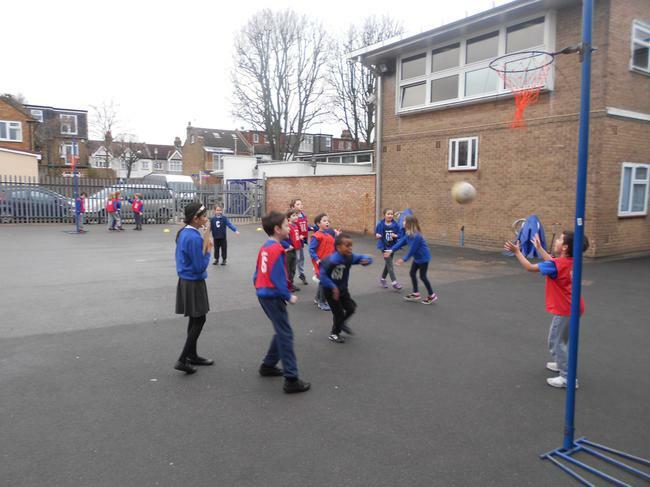 Will Orion or Cygnus be crowned Netball champs? Or will Pegasus or Hercules catch up on the final day and pip everybody else to the post? Tomorrow sees the start of this years Constellation Netball competition. Check out the schedule below to remind yourselves of when your child will be competing. Well done to Hercules for being crowned this years Constellation Netball Champions!! The race for this years cup is hotting up. Just 2 Constellation tournaments of the year remain and Pegasus are in the lead for the cup. Will they hold on? See you after Easter for the cricket tournament when we might find out! 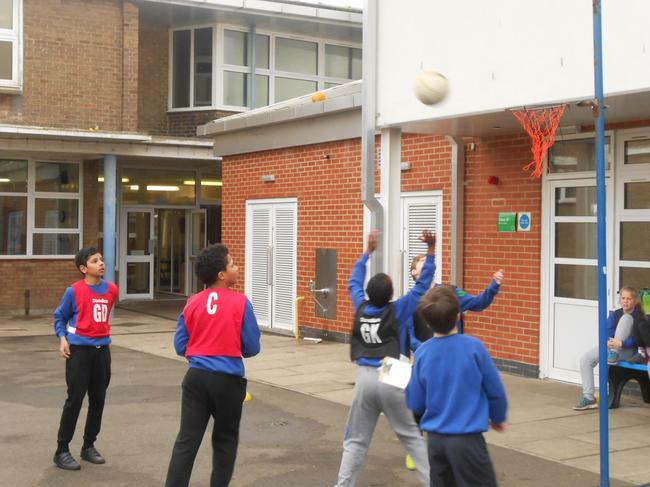 Today was the final day of this half terms constellation tournament and with just one Year group left to compete Hercules could almost touch the Netball trophy. Rio helped to give Pegasus in 4S a great start to their tournament with a great performance in a 1-0 win over Orion. On the other court Will was making things happen for Hercules, helping them to a 2-0 victory in their first game. 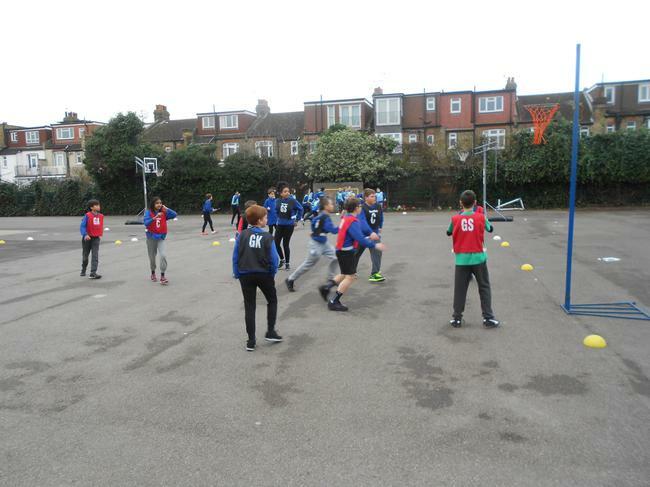 As the tournament progressed Orion's netball improved with Siham and Inaaya helping them to 2 well fought draws. Elsewhere, Amelie was awarded bonus points for a great show of sportsmanship by cheering on her own team and the opposition while she was a substitute! After 3 games, Hercules were on top. 4P were the second class of the day and Pegasus, currently in second place still believed they had a chance to win the tournament. After a slow start, they ended up earning a very good 9 points, with Florence being noted as a key member of the team. The team to beat in 4P wasn't Hercules, it was Orion. With a very solid core in George, Jasper and Zak they managed to win all three of the games to finish top of their group. Break time finished and there were just 2 classes left to play. Hercules were still leading overall, but by how much? Alicia and Milo in Cygnus 4H combined well throughout their games to help Cygnus to 2 wins and valuable points. Pegasus and Orion also played well and ended the day with 7 and 6 points respectively. That leaves Hercules, who lost their first game before winning the next 2 and receiving sportsmanship points from the referees. They finished top of another group with 10 points. The final class was 4F and Hercukes knew that a solid performance here would win them their first trophy of the year. In a very tense opening game it was Harry in Hercules who was the difference as they recorded a well earner 1-0 victory over Cygnus. Game 2 for Hercules was against Pegasus.This proved to be another very close game with another 1-0 win, but this time it was Pegasus who came out on top. Hercules dropped points! Hercules final game was against Orion. The pressure was on and Hercules only managed a 0-0. Some very good play from Ollie and Ahmed left Pegasus as group winners, with Hercules finishing in third. So how has today's results affected the final standings? Who is this half terms champions? Congratulations to Hercules for winning the Netball competition and moving up to third in the overall points. Orion are still on top with a very narrow lead as we reach the half way stage in the year. Three whole school tournaments left and as you can see it is definitely still all to play for! Next half terms tournament is Hockey. Hopefully see you there! 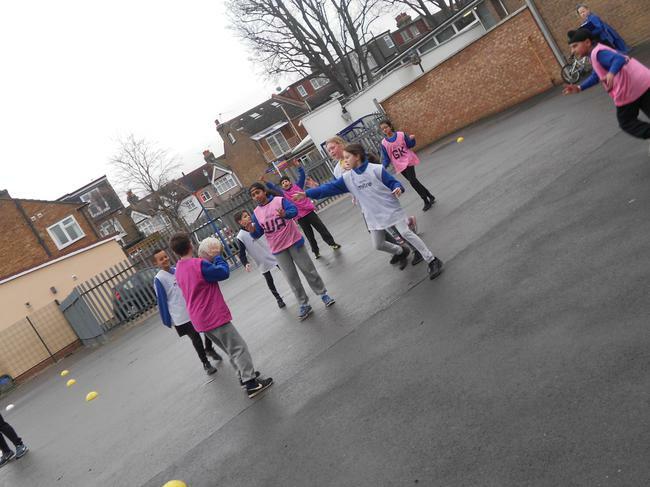 Year 5 had a nice cold morning to enjoy for their part in the constellation tournament today. 5S were out first and they started fast. In the first round of games it was Hercules and Pegasus who started best, both recording important wins. After a slow start Cygnus picked themselves up in the next 2 games winning twice and scoring 7 times, Lily, Agathe and Maddie playing key roles in both victories.Orion had a bad at the office and finished play without having registered a win. 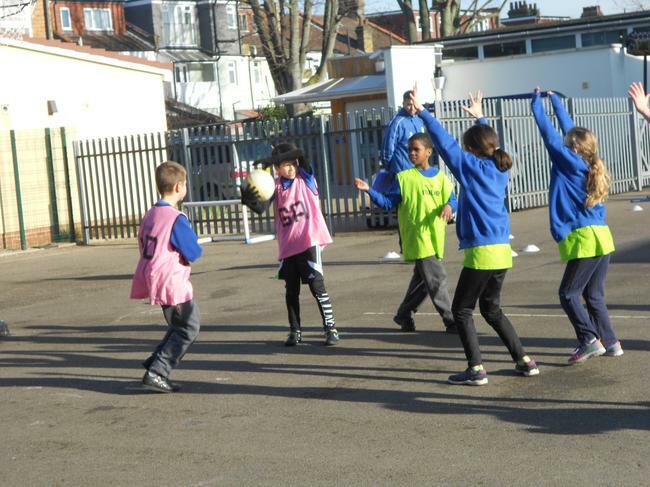 The next class out was 5P and again we started off with some pace, with Pegasus playing some fantastic netball and beating Orion 4-0 in their first game. Unfortunately, Pegasus couldn't follow this up with another win and finished bottom of the group. The top team in the group was....Hercules who won a hard fought first game 1-0, drew the next game 0-0, before finishing in style with a 4-0 win. Heather and Bradley were named as the standout players, although the whole team was commended for excellent teamwork and attitude in every game. After break 5H stepped out. There were a lot of very close games in 5H but again it was Hercules who finished ahead of the others winning 3 out of 3 games, scoring 9 and conceding 0!! Ryan was integral to Hercules success as he was regularly seen and heard encouraging every one of his team mates to give it their best. 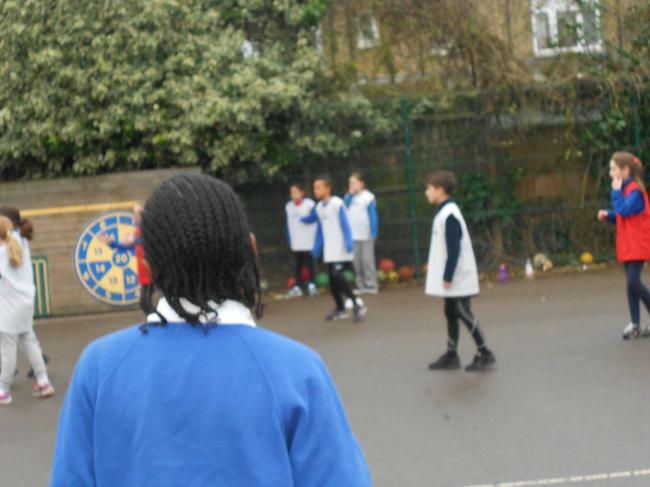 Cygnus and Orion finished joint second in their group having both been awarded a sportsmanship point each by their Year 6 referees.So the final Year 5 class, 5F were out and everybody knew who the constellation to beat was. This time it wasn't Hercules who topped the group. They were knocked off top spot by Pegasus, who had the benefit of having Leo in attack who was scoring from 90% of the shots he took! 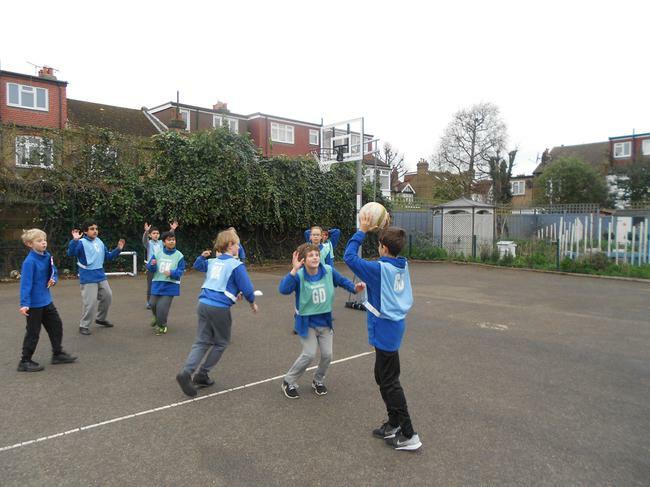 With Leo spurring the rest of the team on, Pegasus managed to win 2 games before being narrowly beaten in the third. Although Pegasus won the group, it was a Hercules player who received special mention from the referees. Jackson worked hard for his team in every game and never stopped trying to motivate the rest of Hercules, earning them a bonus point. So what has that done to the Whole School Netball Points? And the PE and Sport Cup standings? Only Year 4 to go in this half terms Netball Constellation tournament and Hercules still have a healthy lead. Will the netball trophy be wrapped up in the Yellow ribbon of Hercules? 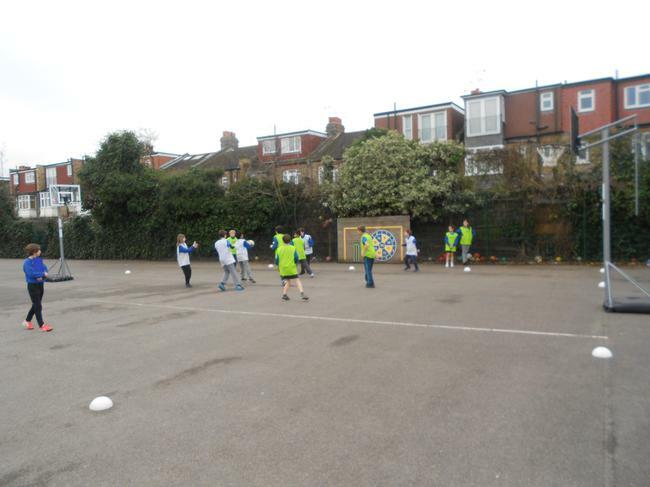 Day 2 of the constellation tournament for this half term and it saw Year 6 and Year 1 in action. It was 6P who started off the morning with Cygnus and Hercules both playing well. Cygnus were being encouraged by some great performance by Artie and Rambod while Hercules had Oscar and Eddie spurring the team on. Remi was showing some fantastic leadership for Orion and helped them to a respectable 3rd place in the group. 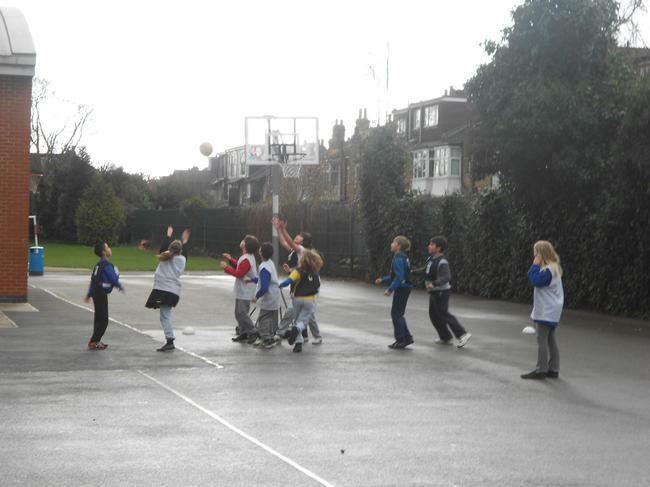 6S also showed us some great netball, with a special mention having to go to Charlie in Cygnus. The team spirit Charlie showed today was excellent and something we are looking forward to seeing more of next half term. Hercules were again playing well in this group, this time with Helena playing a pivotal role in her teams success, constantly moving and supporting her team mates. Both Orion and Hercules went unbeaten in their group, managing to win 2 games each before drawing with each other 2-2 in a very entertaining final game. After break 6H took to the courts. Charlotte, Ella and Thomas combined well in their first game for Pegasus, helping them to secure a solid 1-0 victory over Orion. It was Hercules who stole the show again though, after a disappointing 3-1 loss against Cygnus in their first game they cam back to win their next 2 games 3-2 and 4-0 cementing their place at the top of the group. Finally 6F were up and Hercules were hoping for another solid set of performances. They didn't disappoint the fans and kicked off with a huge 6-1 win against rivals Cygnus with Cameron and Athena working well together to provide some points. The shot of the tournament belonged to Will in Cygnus however, who put the ball in the hoop from a huge distance without it touching the sides! Elsewhere Mahek and Ineesh showed great determination to grind out some points for Orion in some very tough games. After lunchtime it was the turn of Year 1 to do their bit in their constellations quest for this half terms trophy. They were full of excitement and raring to go straight away. 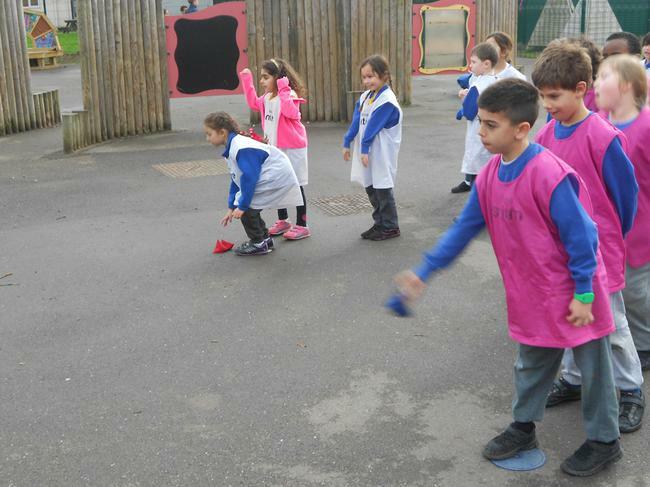 Rather than playing in matches Year 1 competed in 4 different modified games to test their throwing and catching and their movement skills. 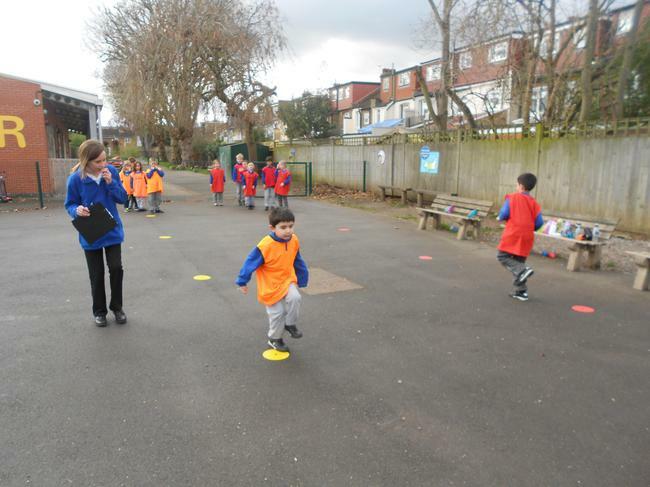 The children worked really hard and it was great to see that already they are all really keen to do well and represent their constellation the best they can. Unfortunately the camera ran out of battery during the morning tournament so we are lacking photos but we do have the final scores. With 3 Year groups left to compete it looks as though Hercules might be on track to win their first trophy of the year, but there are still lots of points to play for so the other constellations will still have something to say about that. See you tomorrow for Year 5 and Year 2. 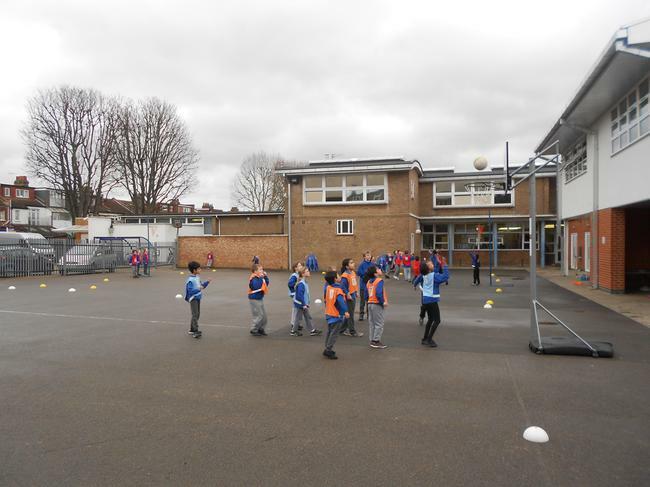 Year 3 kicked off the constellation tournament early this half term due to an inset day on the final day of next week. 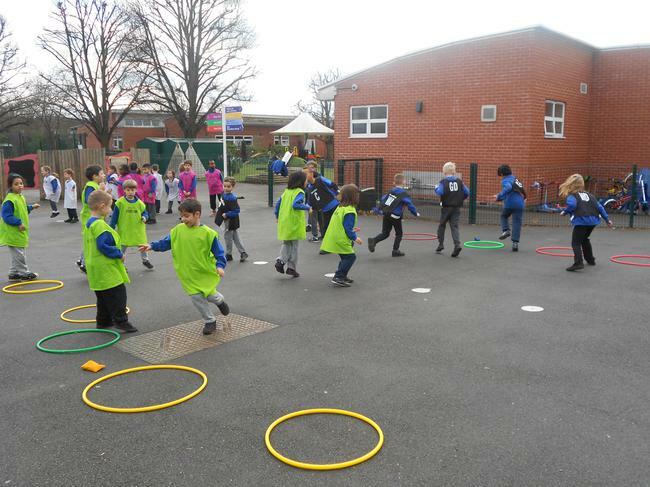 It was 3S and 3P who were up first to compete for points. 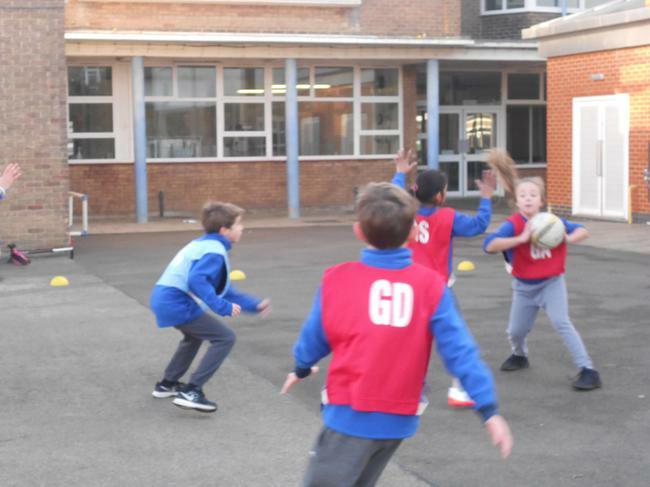 Games were fiercely competed, particularly by Cygnus and Hercules who played some fantastic netball with great examples of quick passing and moving using the whole team. Henry of Cygnus played a great game against Hercules scoring a hat-trick of points to give his team a comfortable win. 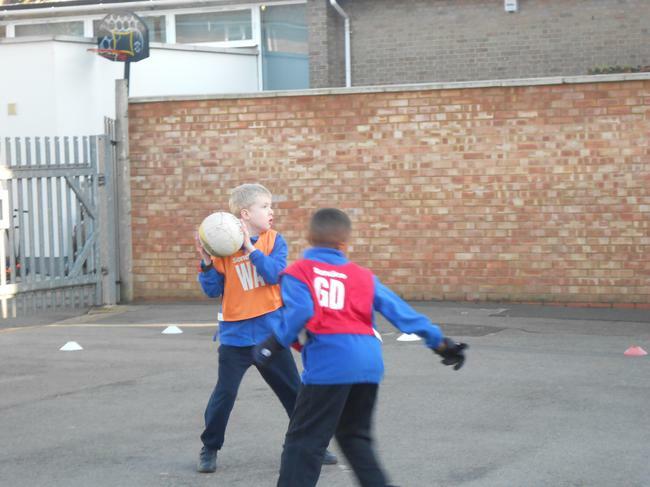 Stan and Owen, our Year 6 referees also made a point of commending Thomas of Orion for some excellent shooting. Hercules were the constellation to finish on top from the first two classes gaining a very good 19 points. After break time 3H and 3F had their chance to give their constellation the advantage in the early stages of the tournament. One of our referees, Mahek, had the pleasure of taking charge of one of her younger brother Armaan's games as he put in a solid performance for Orion. Lorna from Orion was also mentioned in the referees report as having a great work rate for her team and earning them a bonus point for her troubles. Again it was Hercules who came out on top from these two classes as they amassed another 17 points. 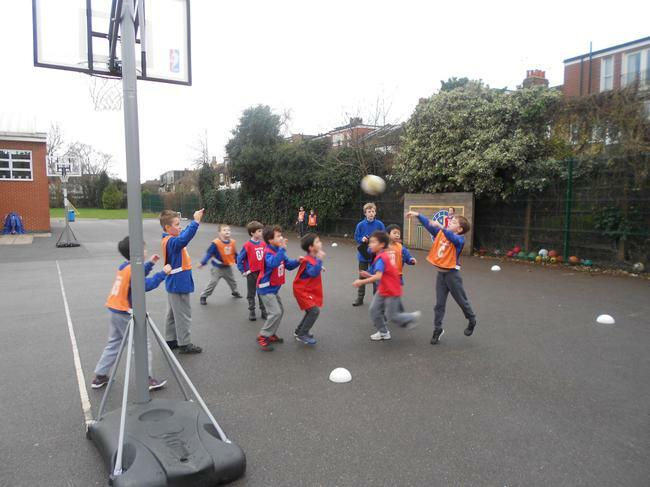 This half term the constellations will compete against each other in the sport of netball. 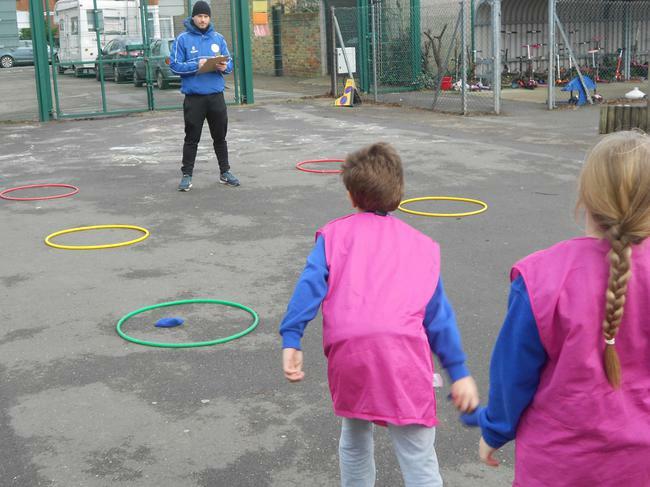 The children have struggled with some of the cold weather since Christmas but have worked hard on their skills when they have been able to. We are looking forward to the competition at the end of half term. Check out the rules and schedule below.